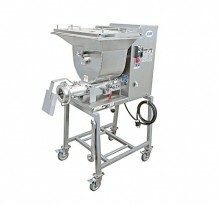 Grind all the meat, sausage, and poultry you want with one of Biro’s Mixer/Grinders. Though heavy-duty and durable, these large items are extremely easy to clean! Keep your ground meat products as fresh as possible. 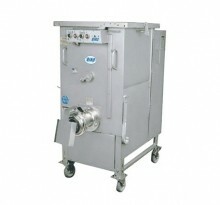 These meat mixers are not only built with superior engineering, but also superior products. 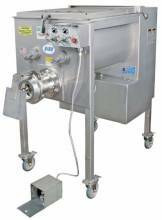 Add a stainless steel mixer/grinder to your butcher shop, meat packaging operation, or meat room to increase productivity and make your life easier and product fresher! Don’t need any meat mixing? 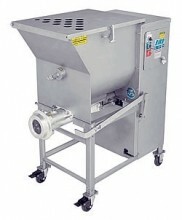 Biro Meat Grinders available to productively and efficiently grind meat for your establishment. 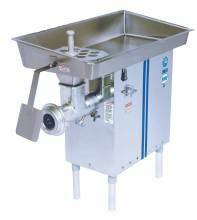 Whether you are looking for a small but durable 1HP meat grinder, or a 10HP larger capacity machine, Zanduco has what you need.